Here’s my current collection, including links to the old Flickr galleries – I’m aiming to get these images all transferred to this site soon, as my love for Flickr has entirely dissolved! Blythe is not my only dolly vice – I also have an assortment of other dolls including Momoko (Sprue – a Mama Told Me and Dalita – a Lovely Folklore), LatiDoll (Mir – a LatiDoll Yellow Benny), Monster High (too many to count! ), 60cm Obitsu (Minky – with Haruka head), Susie Sad Eyes (currently referred to as Susie #1 and Susie #2) and a brunette vintage Sindy. 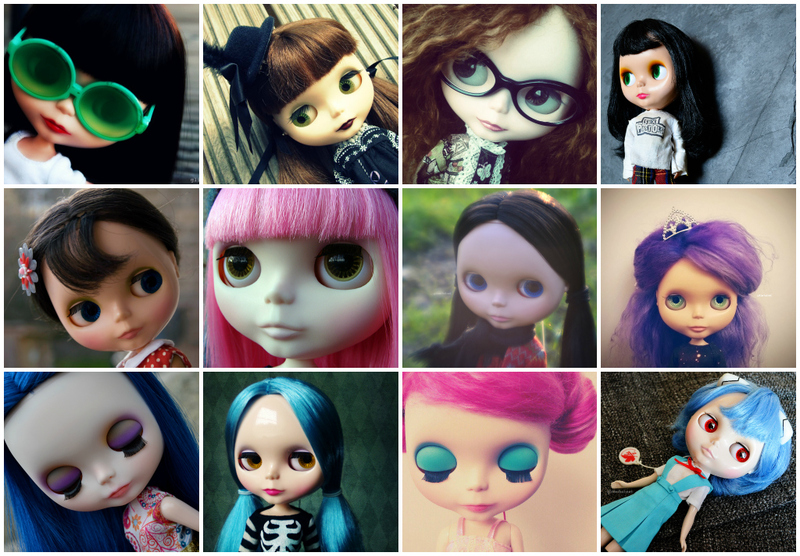 Blythes that have flown the nest include Juniper (custom Primadolly Aubrey), Tabula (custom French Trench), Mary Ann (custom Fancy Pansy), Berlin (custom Samedi Marche Encore) and Nameless (as was Juniper, back from the dead).